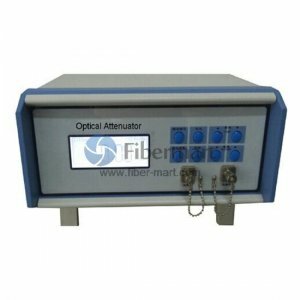 Optical Attenuators, or fiber optic attenuators, are used in optical communications to reduce optical fiber power at a certain level. Generally, the attenuator types are classified by connector types and attenuation levels. A common version is the female to male plug type bulkhead attenuator which has a connector at one side and a adapter at the other side. Fiber-Mart provides optical attenuators with various connector types, such as FC/SC/ST/LC/E2000, available with APC or UPC polish. Our fixed attenuators can be with different attenuation levels from 1 dB to 30 dB (step by 1 dB), while the variable optical attenuators (generally used as in-line attenuators) can be with a range of 0 ~ 60 dB. Customers can buy these attenuators directly in this category or Make Customized Orders.